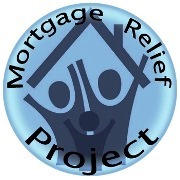 The articles in our foreclosure prevention resources library were designed to assist homeowners seeking assistance with a troubled mortgage or facing foreclosure. Whether you hire a foreclosure defense attorney to represent you, or attempt the process yourself, these articles offer helpful information designed to help you better understand the foreclosure process and how to best navigate loan modification process. MRP strongly recommends hiring a foreclosure defense or loss mitigation attorney for all mortgage and foreclosure related legal matters.